Washbasins made of glazed titanium steel. Our world of shower bases. 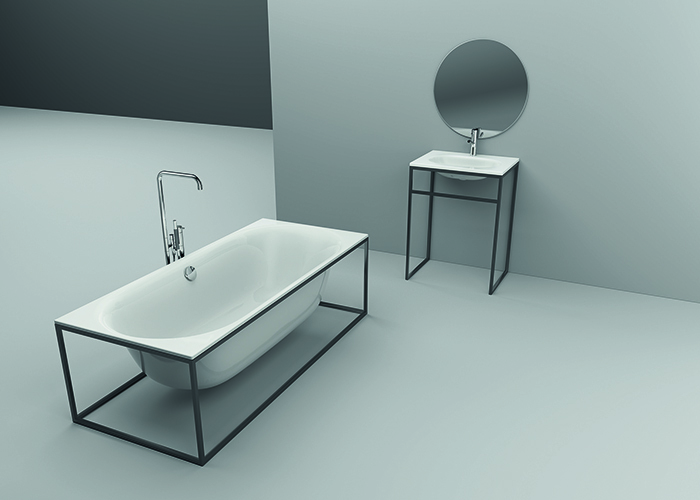 Bathtubs, shower bases and washbasins made of glazed titanium steel. Are you looking for a bath that meets your high standards and offers new inspiration every day? With 70 years of experience with glazed titanium steel and our well-deserved reputation as a reliable Swiss quality partner, we are in the perfect position to fulfil your needs. Our bathtubs, shower bases, shower areas, washbasins and whirl systems are available both in comprehensive standard ranges and as individual, made-to-measure products, giving you the perfect bathroom that is everything you ever wanted it to be. Schmidlin presented a selected product selection and innovations from the export range at the ISH on march 11-15, 2019 in Frankfurt. 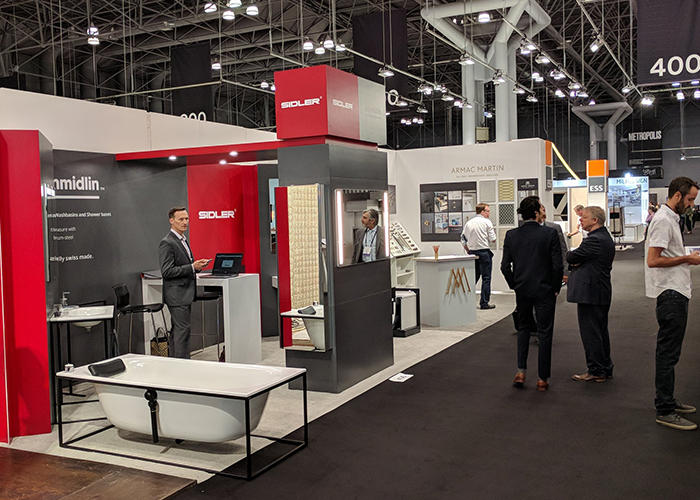 Schmidlin presented for the first time at the ICFF 2018, in New York innovations from the North America Selection. 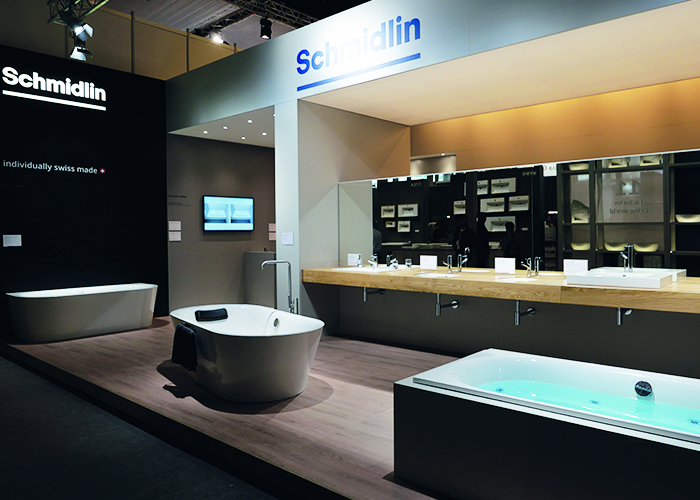 As a special fair novelty the bathtub Schmidlin RIVA FRAME has been introduced. There is something sculpural in the character of the Schmidlin FRAME Line. Schmidlin RIVA FRAME and Schmidlin DUETT FRAME are characterized by a flowing oval design and are elegantly shaded, supported by a classic powder-coated stell frame. Our bathtubs, shower bases, shower areas, washbasins and whirl systems are available both in comprehensive standard ranges and as individual, made-to-measure products.